The holistic health and wellness studio is hosting a series of workshops that aim to peel back the fashion and ego around yoga. Plus, there’s a special winter discount offer to get you there. 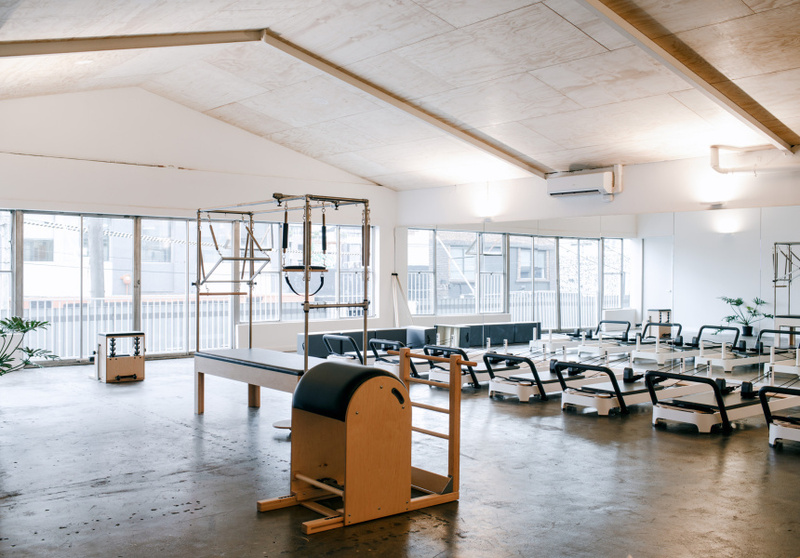 Universal Practice launched in 2016 with a holistic health studio in Richmond offering physiotherapy and meditation alongside reformer Pilates and yoga classes run by qualified physiotherapists. The second studio opened in Fitzroy in 2017. To entice us out of our heated lounge rooms during winter, owner and physio Sammy Wilson and her team of experts are running a series of winter workshops called Yoga For Everyone, alongside a special offer on yoga classes and physio consultations. The workshops focus on yoga and the health benefits it can have for our organs, muscles, blood and bones, and on our mental and emotional wellbeing. The workshops will run monthly, beginning in June, and will feature guest speakers who are experts in their fields. Over coffee in June, Dr Sandro Demaio will talk about the potential of food to shape not just our health but also our lives in a discussion titled Food and the Body. A philosophy and film-focused night in August will show short films that highlight how yoga enables the feeling of connection to your body and the world around you, over a glass or two of local wine. In another workshop, Modern Living and the Mind, Wilson together with a guest psychologist and Hawthorn footballer Jaegar O'Meara will discuss the role of yoga in achieving professional ambitions, improving performance and dealing with stress. The workshop begins and ends with a meditation practice. Wilson leads weekly yoga classes for Hawthorn footballers at both the Fitzroy studio and the club. The players benefit from a slow, restorative practice that aims to reduce stress and enhance flexibility, muscular recovery and mental resilience. The workshops are complimentary for anyone purchasing one of the studio offers detailed below. Otherwise it is $20 per workshop. 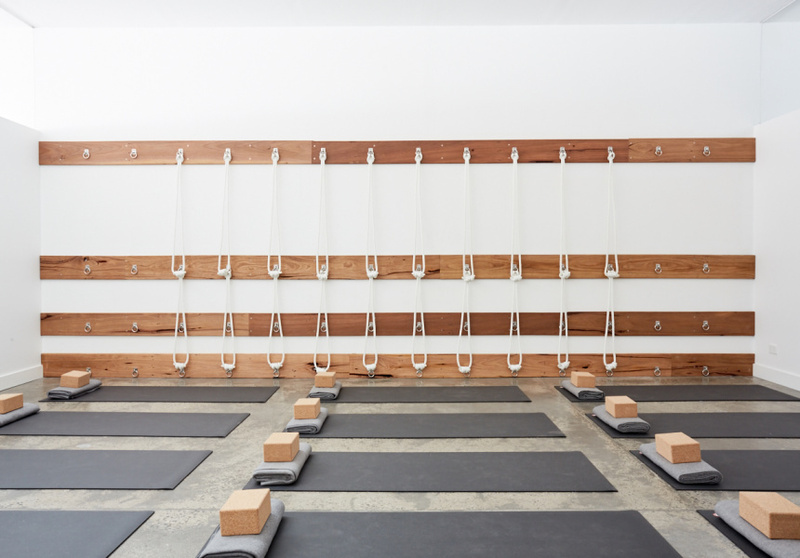 Options include a 10-class yoga pass for $120 (usually $200), or a three-month unlimited pass for $199 (usually $360). “We have a special offer for Broadsheet readers,” Wilson adds. “A new-client, half-price consult for $44.50.” Those consultations are usually $89 each. With a team of 12 specialists over two locations, Universal Practice physiotherapists are experienced in chronic-pain management, back pain, post-surgery patients, pelvic instability and sports injuries. But they’re also there to help beginners with their yoga practice. Or the person who attends classes twice a week, to manage stress and tone up. Because yoga is for everyone. For more information on the Winter Workshop series and to sign up, head here. Purchase a special price three-month unlimited membership here; a 10 class yoga pass for $120 here; a 50 per cent off physiotherapy consult here.